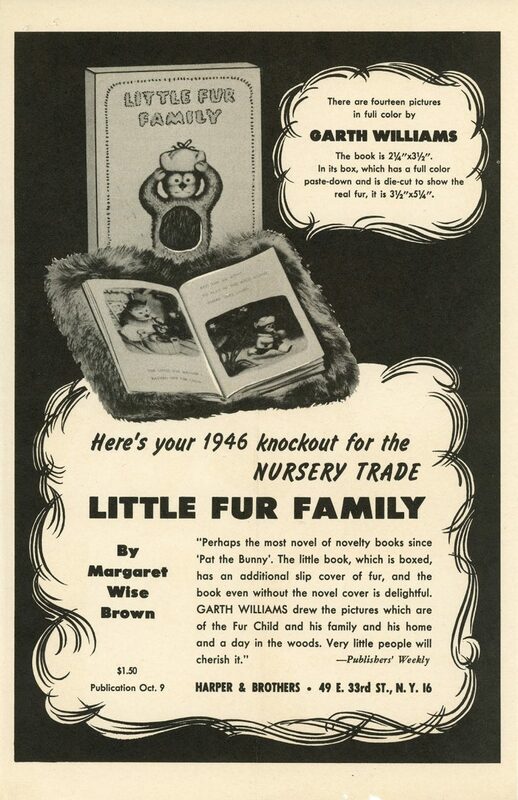 Marketing flyer promoting the 1946 publication of Little Fur Family, written by Margaret Wise Brown and illustrated by Garth Williams. 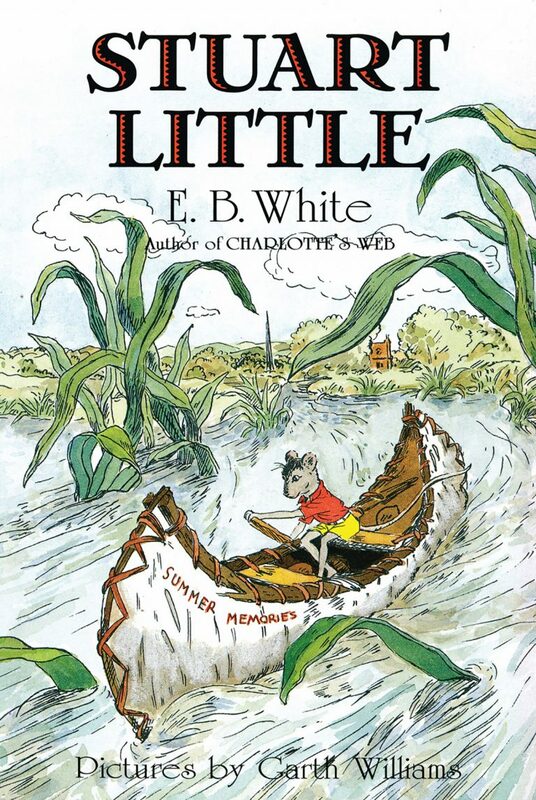 Garth Williams was a little-known but talented young illustrator when he was commissioned by Ursula Nordstrom, head of Harper’s Department of Books for Boys and Girls, to illustrate the classic Stuart Little by E. B. White. 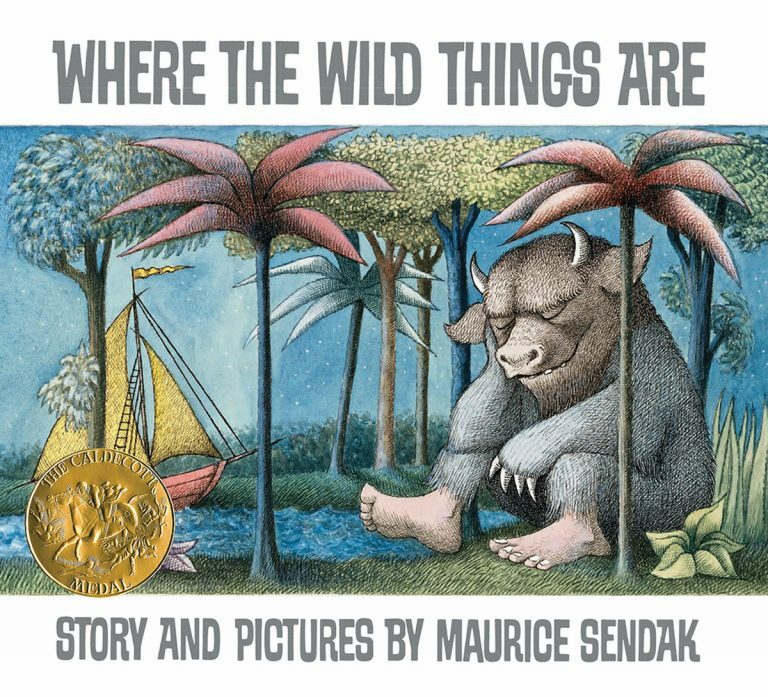 After this success, Williams dedicated himself fully to illustrating children’s books. 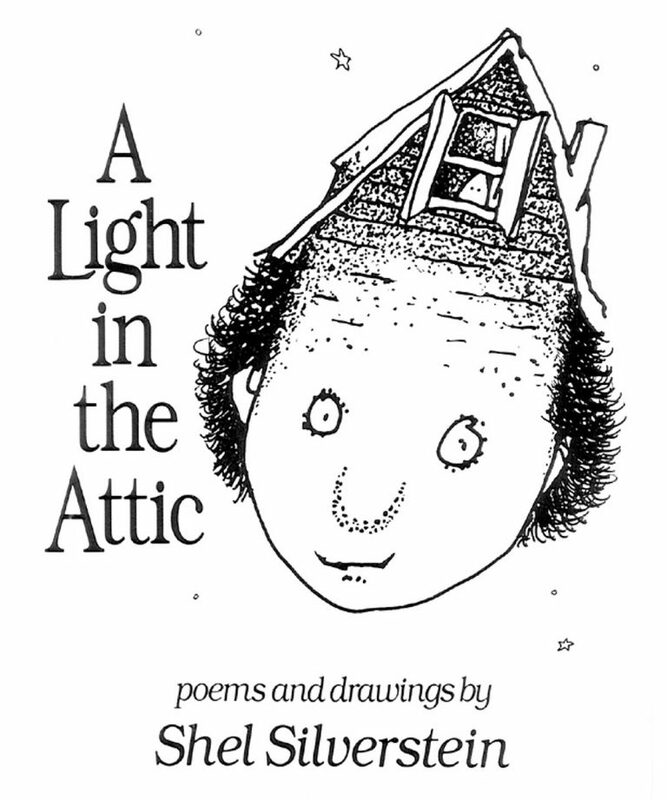 His illustrations for White’s Charlotte’s Web (1952) were nothing short of iconic. He also worked closely with the prolific Margaret Wise Brown to illustrate Little Fur Family (1946), followed by Wait Till the Moon Is Full (1948), Fox Eyes (1951), and The Sailor Dog (1953), among many others. 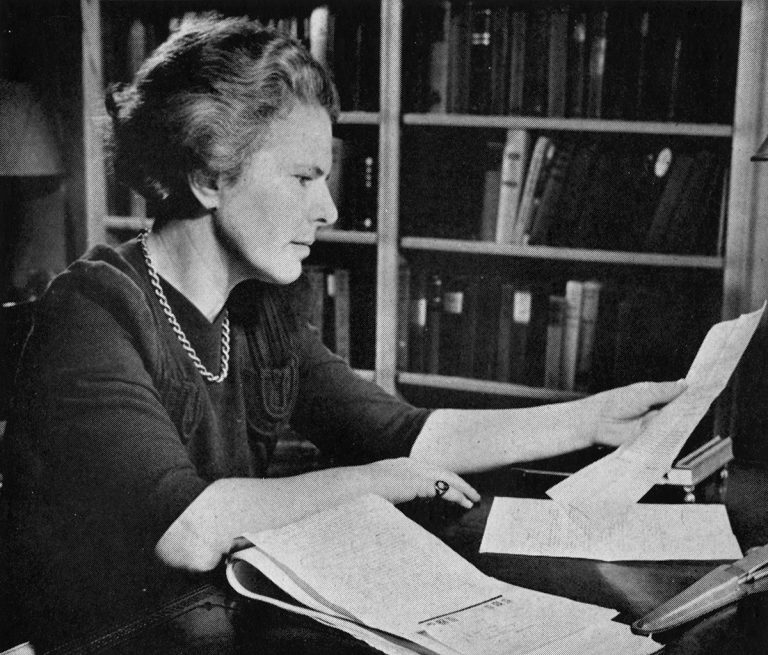 When Williams received a commission in 1947 to illustrate a new edition of Laura Ingalls Wilder’s Little House series, he traveled to the Midwest to see where the Ingalls family had lived decades earlier. After finding success with Harper & Brothers, Williams moved to Mexico to live among a colony of expatriates in the ruins of a silver mine. He continued to produce illustrations and wrote seven children’s books of his own, including The Rabbits’ Wedding (1958), which inadvertently ignited a national political controversy with its depiction of a marriage between a black rabbit and a white rabbit. 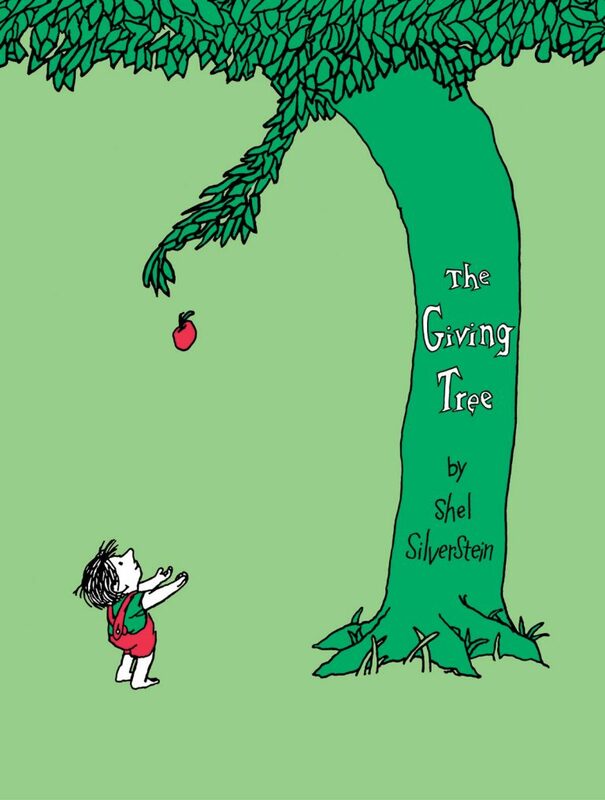 The White Citizens Council in Alabama denounced the book for promoting racial integration.